I'm excited about finding non-GMO, organic, heirloom vegetable seeds at Costco, and it's because of the excellent company I've been keeping. I've been around the Nashville Food Bloggers, and their respect for locally grown and organically produced food has impressed me. 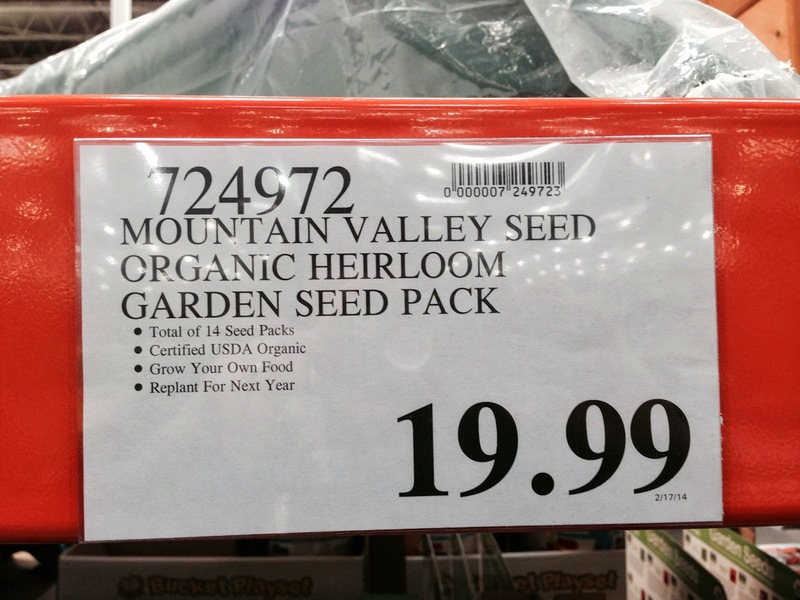 I've never seen seeds at Costco before so I'm guessing that what has impressed me locally, has impressed enough people nationally to become a national movement. 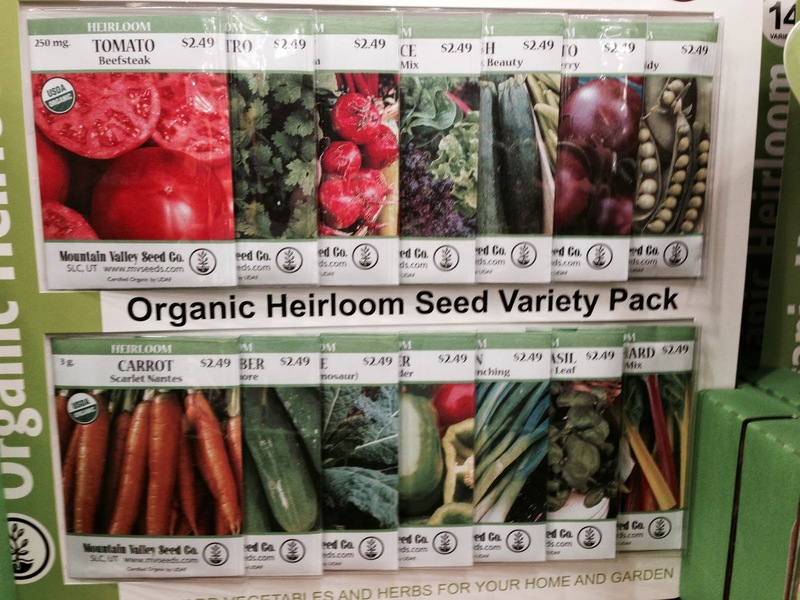 For Costco to carry seeds, a large market must exist. These seeds are 14 packs for $19.99, a lot to spend on seeds, but not a lot compared to buying starter plants in pots. I'm tempted, but I'm pretty sure any tomatoes I started in pots inside would die by planting time. And, my garden space is way too small for all of these. Still, very tempting, considering these usually sell for $2.49 for one package. This bundle includes tomatoes, cucumbers, carrots, several varieties of greens, peas, basil, celantro and peppers. And look what I found on YouTube!